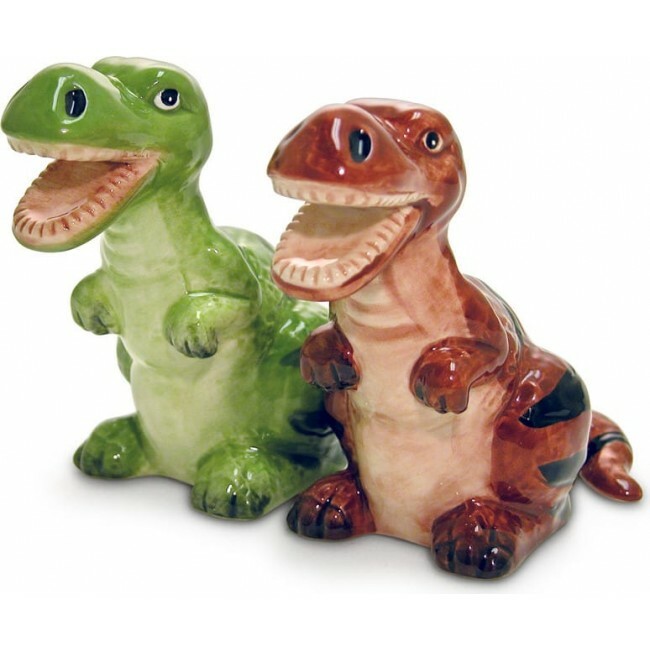 These two T-Rexs aren't just salt and pepper shakers, but they're best friends. When you put them next to each other they magnetically join at the leg. Perfect addition for those with a dinosaur-like hunger.